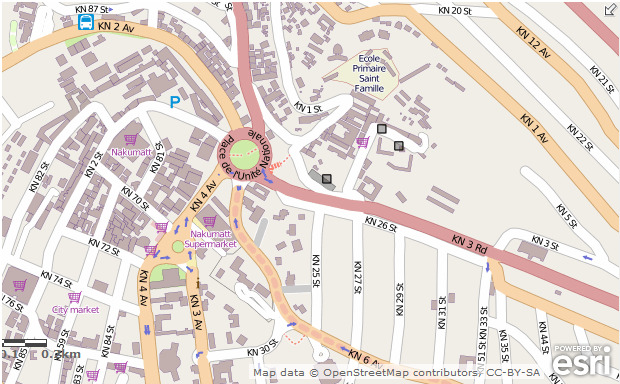 In a joint effort with the City of Kigali Esri Rwanda updated the Open Street Map of Kigali with its new street names. The data has been added to www.openstreetmap.org and is now available as a basemap in ArcGIS Online and in ArcGIS Desktop. To find your way in the City of Kigali sign in to ArcGIS Online or create your free account.